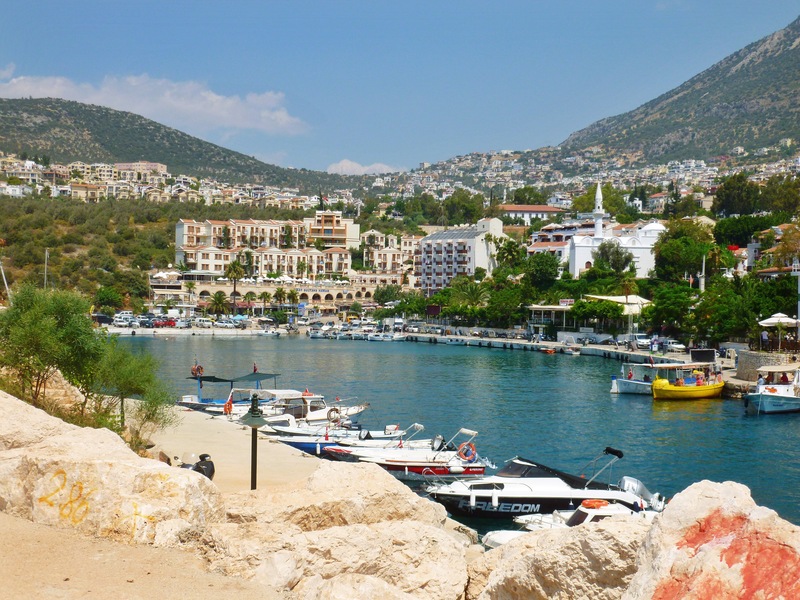 Kalkan is a beautiful former fishing town about 1-1.5 hours drive from Fethiye. Its inhabitants were mainly Greek until the 1920’s. It is now a popular tourist resort but the focus is still very much the stunning harbour and sea views, with hundreds of roof top restaurants providing the perfect dinner spot. It is very hilly, with steep slopes and cobbled streets and the lovingly known ‘cardiac hill’ – we have walked it a few times, its easy to see where it gets its name! There is a small beach and the lighthouse and breakwater give great views around the bay and back over the town itself. I haven’t visited for a few years but it was always much more classy than other resorts, we all know how much I love Fethiye and Calis, but Kalkan is just a little more upmarket, but the restaurant menu prices definitely reflect that. There aren’t many hotels, most of the accommodation in the area is in the form of apartments and villas, some of which are high up and have beautiful infinity pools looking over the bay. Boutique stores and lots of bougainvillea line the old town centre… It’s also quite popular with celebrities!